^ Kirk, Susan Van (2001) . Tracy Barr; Greg Tubach,, eds. 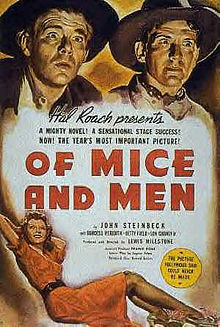 Cliff Notes: On Steinbeck's Of Mice and men. 909 Third Avenue, New York City, New York: Wiley Publishing. ISBN 0-7645-8676-9. This page was last edited on 12 March 2019, at 17:07 (UTC).